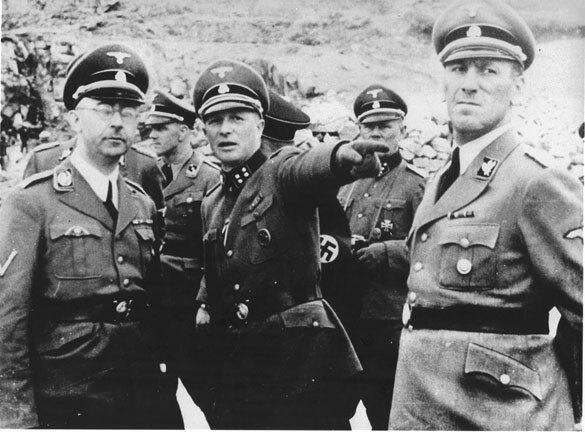 Heinrich Himmler (left) with SS-Sturmbannführer Franz Ziereis (pointing, in the center) and Ernst Kaltenbrunner (right) at Mauthausen. 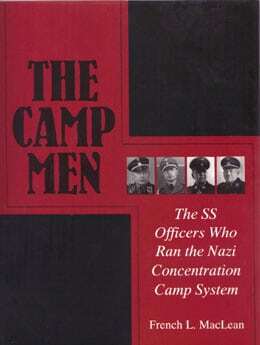 Mauthausen, and its satellite camps, were the scene of 70,000 to 120,000 deaths among the inmates. Ziereis served at Mauthausen from 1939 to 1945. American troops near the camp shot him and he died of his wounds on May 24, 1945. Ernst Kaltenbrunner took over the Reich Main Security Service (RSHA) after the death of Reinhard Heydrich in 1942. Kaltenbrunner was convicted of war crimes and hanged by Master Sergeant John C. Woods at Nürnberg on October 16, 1946.